awards from the NYIB Conference. It’s hard to believe that summer is almost over and the school year is about to begin! Back to school time means another busy and productive year for our Student-Run Credit Union Team. Each year we partner with Michigan school districts to operate student-run credit unions and expose thousands of students to money management skills. Selected students learn the banking business as credit union tellers, branch managers, marketing representatives, computer operators and accountants. Between our north and south districts, we are currently up to 47 school partnerships! We continue to invest a lot of time and energy into teaching financial education because we believe children are the future of our communities. Community Financial is very serious about our commitment to education and as the credit union grows, so will our number of school partnerships. Whether it is through new classroom presentations, student credit unions, or some form of financial education event, we are always looking to break new ground and further our efforts in the communities we serve. In addition to running the student-run credit union program, our Education Partnership Coordinators give classroom presentations on financial topics throughout the school year. This year our team will introduce fun new lessons to teach students about managing their money. We’ve incorporated a number of new curriculum based, in-house presentations at the elementary and middle school levels. Most are interactive, mental math lessons with different, fun themes like “Teddy Bear Picnic” and the “General Store.” We even have one that involves surviving a zombie apocalypse! Our classroom presentations reached over 21,000 students last school year. We’re aiming for at least 24,000 this year! We are proud to lead the way nationally in financial education! If you know a school that is looking for financial education or some other form of partnership, please let us know. We also work with libraries, scout troops, church and other community organizations to offer assistance with financial education. To learn more about our school credit union program visit cfcu.org/scu. At this point, you're probably sick of hearing about the importance of an emergency fund. Yes, you get it: It's important to set aside money for the rainy days. But if you can barely save a month's worth of expenses, how can you possibly save up enough money for six months? Luckily, you don't have to tighten the proverbial belt until you choke. By the time you're done with this list, you'll learn not only the specifics of starting an emergency fund, but also how to keep that fund nice and healthy. 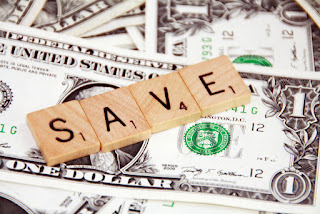 It's okay to aim for a specific goal, like saving up $1,000 in six months, but if you're not a habitual saver, that large goal might discourage you. Instead, set "micro quotas" and "macro goals" when you start building your emergency fund. For example, let's say you need $600 six months from now. That's $100 per month, or $25 per week. Factor those figures into your weekly and monthly goals, whichever works better for you. The idea is to have a "macro goal" ($600 in six months), and break it down into smaller, more manageable "micro goals" ($100 per month or $25 per week). Once you set your goals, your next step is determining how to achieve them. Your monthly expenditures are a good place to start. How about your cable TV subscription? Assuming you're on the expanded basic package, you probably shell out around $65 per month. Since it's likely you don't even use half of your subscription, it may be a good idea to let it go. Services like Netflix and Hulu are often priced at a tiny fraction of cable TV services. Don't be afraid to negotiate with your credit card company. Ask the credit card company if your annual percentage rate (APR) be lowered and always use your card (or cards) wisely. That means paying down those balances each and every month and only charging what you can afford to pay off when you get your statements. It's also wise to shop around, do some research and find the best credit card for you. That means looking into the benefits that come along with some cards, like receiving cashback offers for groceries and gas purchases, and what the APR is for each card. It's smart to shop around, read objective customer reviews and decide which card best suits your needs. Think about it: If you save a dollar a day, you'll have $365 by the end of the calendar year! Now, imagine doubling or tripling that number. The results put things into perspective. Sift through your daily expenditures, and decide where you can cut back. For example, instead of buying coffee from your fave coffee shop every day, try every other day or a few times a week. Instead of buying separate insurance coverage for your car, try purchasing combined coverage packages for both your car and renters insurances. You'll be surprised at how small discounts can add up when you look for opportunities to reduce monthly bills. Sometimes you’ll forget you have an emergency fund. Considering all the other things you have to worry about, who can blame you? However, you still need a way to stash extra cash without too much effort. One solution is the automatic savings plan. As the term suggests, it automatically funnels cash into your emergency fund account on a regular basis. Ask your financial institution if this is an option you can utilize. "Set it and forget it" is always a handy feature. Building an emergency fund can be stressful. The temptation to dip into it ahead of time is overwhelming, and there's always the feeling that you're depriving yourself in some way. But believe it or not, saving money can be fun! With careful planning, perseverance and patience, you can have adequate cash for the rainy days or those big financial goals in your future before you know it. CFCU Named One of Metro Detroit’s "101 Best and Brightest Companies to Work For"
We are excited to announce that for the 11th year in a row, Community Financial Credit Union has been named one of Metro Detroit’s 101 Best and Brightest Companies To Work For™! This award recognizes companies for excellence in human resources practices that create exceptional work environments. 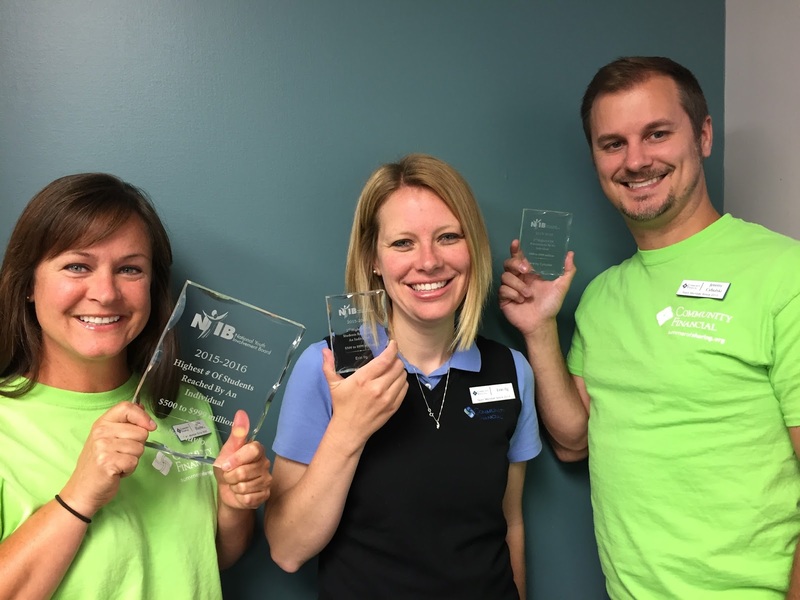 “This award depends in large part on data collected from Community Financial team members and we appreciate their recognition of Community Financial as a great place to work. We participate in this program as a way to help attract and retain the best team members to fulfill Community Financial’s purpose of enhancing the financial well-being of every member,” said Kathleen Hinchcliff, Manager/Education and Development. There are some people out there who keep insisting that the college bubble is eventually going to burst. And while that very well be the case one day, for now, the cost of higher education seems to be going nowhere but up. For the 2015-2016 school year, tuition costs average $9,410 for a public four-year in-state college, $23,893 for a public four-year out-of-state college and $32,405 for a private four-year college. Oh and here’s the best part: These figures don’t even include room and board. And as we all know, students are typically charged thousands of dollars each year to share a dorm room with another human. 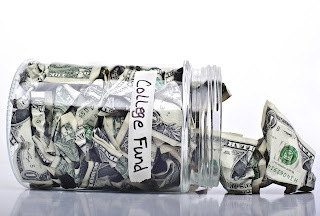 Now in the absence of wealthy parents or winning the lottery, most college hopefuls have no choice but to borrow money to pay those high tuition costs. The problem, however, is that paying off student loans is easier said than done. The Project on Student Debt, which was created by The Institute for College Access and Success, reported that 69 percent of 2014 graduates took out loans to pay for college, racking up an average debt load of $28,950. That's a large sum to chip away at on an entry-level salary. If the idea of racking up debt to finance a college education sounds unappealing to you, fear not. There may be another avenue to consider if you’e willing to swallow your pride and appeal to the masses: Crowdfunding. Why Borrow When You Can Beg? You’re probably familiar with the concept of crowdfunding. Plenty of people use online websites to raise money for charity or new business ideas. But these days, some college students are taking the trend one step further by asking complete strangers to help fund their education. According to GoFundMe, a well-known fundraising site, tuition campaigns rose 4,547 percent between 2011 and 2014. And in 2013, students were able to collect a combined $4.63 million for education costs. Using crowdfunding to pay for college has become so mainstream that there’s now a dedicated app you can use to make the process easier. Launched in 2014, GoPYT, which stands for Go Pay Your Tuition, works like a traditional crowdfunding platform, only its scope is limited to raising money to cover education costs and reduce student loan debt. All you need to do is complete a profile to sign up, and once your account is verified as legit, you’re free to set up your own personalized campaign. Of course, not everyone is comfortable with the idea of asking strangers for money. But consider your options: banking on the kindness of strangers, or racking up a pile of debt so high you’ll be buried under it before you can even utter the word diploma. It makes the whole idea of crowdfunding seem savvier than you thought. If you do decide to move forward with a crowdfunding campaign for college, don’t go into it thinking you’ll somehow manage to plead your way toward a free ride. Despite your most earnest pleas, you may only succeed in shaving a few thousand dollars, or even a few hundred, off your total education costs. But when it comes to paying for college, every little bit helps. So remember: any money you raise via crowdfunding is money you don’t have to pay back, with interest, down the line. And while setting up and publicizing your campaign might take some work, it’s a small price to pay for what could potentially be free money coming your way. Summer is the perfect time for clearing out the stuff cluttering your garage. And any forward- thinking entrepreneur looking to sell thinks of eBay. Though some of it may not be valuable to you, some items – like clothes, electronics and collectibles – might fetch a fair sum if you were to sell them on eBay. The global reach of the world’s largest bidding site offers tremendous potential. You’ve sold a big-ticket item and you’re thrilled. But before you’re paid, the buyer offers more than they agreed to if they can skip the PayPal fees and instead send a certified check. Alternately, you get an email from what appears to be PayPal telling you that the payment — more than you agreed to — is in transit, but won’t be released until you provide a shipping number. Once you ship the item, the promised check never shows or bounces, or the “in transit” money from “PayPal” never comes. You’ve lost your money and the item. The rules are simple: Never send an item until you have the cash and never accept non-electronic payment from someone you don’t know. 2. The 3rd party payment system. A buyer refuses to use eBay’s checkout system. They insist you remove your listing, send the item to them directly, and they’ll pay you directly. After you’ve shipped the item and received payment, they’ll contact you again, claiming the item was broken or it wasn’t as described. They’ll demand a full refund or threaten to have your eBay account banned. 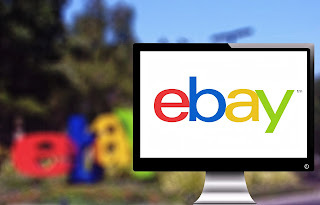 Since agreeing to settle a transaction outside of the service is a violation of eBay’s terms, they’ve got you cornered; you refund their money or stop selling on eBay. If you use a site to sell, use it to finish the deal. This keeps the company involved if things go sideways and ensures you’re using the site legally and following the rules. 3. It was like that when I got it! In this transaction, when the buyer receives the item, he sends you pictures of it with serious damage. He demands a refund, stipulating that you cough it up or take it up with eBay’s Buyer Protection Program, which will force you to issue a refund. Quite likely, the buyer is showing pictures of another, similar item. Here are two ways to prove it: Insist buyers purchase shipping insurance on all expensive or fragile items and take time-stamped pictures of the item before it’s sent. You now have proof the device was working, and the buyer can take up damage claims with the shipping company. Include a disclaimer in the item description about refunds; a statement like “no refunds” puts you in the clear. eBay is a great way to get rid of unwanted belongings while earning a little cash on the side, but it’s also a great way for scammers to take your money and leave you feeling burned. Selling safely on eBay means paying attention, following the rules and protecting yourself as much as possible. One last piece of advice as a reminder; if the deal looks too good to be true, it probably is!